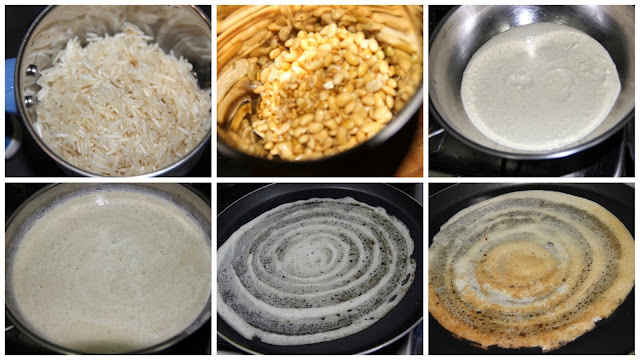 I am so excited about to share this Dosa recipe. As everyone knows soy bean is the richest source of protein of all Legumes. This dosa becomes the favourite of my family once I made this dosa and not at all making dosa using Urad dhal (ulunthu) in the traditional way. The reason behind is the crispy crunchy paper thin dosas. Everyone in cluding me love the crunchiness. Soybeans are considered by many agencies to be a source of complete protein. A complete protein is one that contains significant amounts of all the essential amino acids that must be provided to the human body because of the body's inability to synthesize them. For this reason, soy is a good source of protein, amongst many others, for vegetarians and vegans or for people who want to reduce the amount of meat they eat. Soak rice separately and soy beans and fenugreek seeds together for 2 hours. Grind as a fine paste in a blender by adding enough water. Add salt to taste. Mix well and allow to ferment for around 6-7hours or overnight. After fermentation mix the batter well with a ladle to make crispy dosas. If the batter is thick add some water to make pouring consistency. 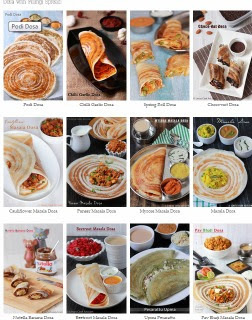 wow dosa looks so crisp.. 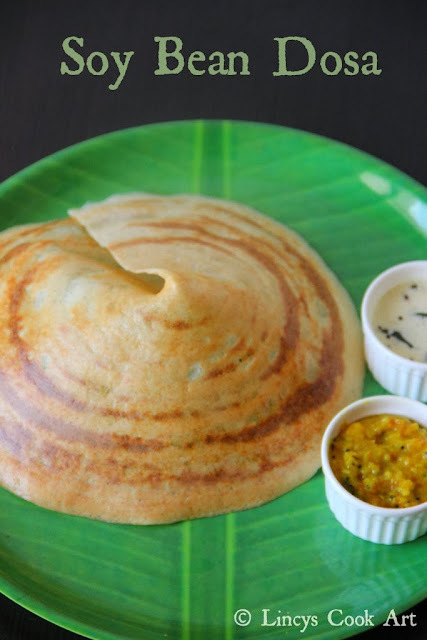 I love the crispness of this dosa, thanks for sharing such a lovely recipe.I am going to book mark and try it. Very healthy dosa. Surely i am going to try this. dosa looks very crispy and mouthwatering. Very healthy and innovative Eliza...perfect...Thank you for linking to my event . Nice one lincy .Going to try it soon..